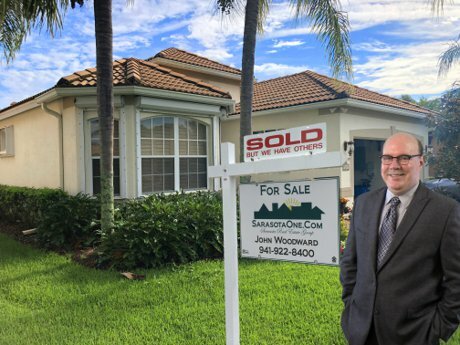 John Woodward of Sarasota Real Estate Group just sold 8207 Nice Way in the Turtle Rock subdivision in Palmer Ranch. Listed for $469,000 and sold for $439,000 representing almost 7% off asking or $30,000. The Turtle Rock market is averaging 4% off asking price. Once again, John Woodward's team was able to beat the market average for these buyers by 3% or about $14,000 saved for the buyers. Most sales in real estate are processed based on selling price or cost per square foot. Sellers are looking for high number and buyers are looking to get a home for the lowest price. Where you eventually wind up has a lot to do with how well your agent negotiates and motivation of the parties. Beyond the relative neighborhood price, price per square foot, and days on market statistics, there is value. Less scientific and harder to gauge, value is more subjective than what goes on behind the hard, cold numbers. Every property is unique and every buyer and seller is trying to meet their needs and objectives. Value is made up largely by the hard numbers but value also takes into account overall condition, upgrades and amenities. That is why we always talk in terms of price range within a given market segment. Amenities, quality of construction, and maintenance contribute to the value. 8207 Nice Way is an example of a home with great value. It won't show as the lowest cost per square foot nor is it the cheapest in the neighborhood. The seller owned the home for less than a year and had commissioned a complete transformation to meet their needs. There is financial danger of over improving a house. After all, there are very few upgrades that can be done to prepare a home for sale that would represent a “dollar in dollar out” upgrade. In fact, HGTV’s top ten list best improvements is a minor bathroom remodel and even that only returns 102%. What most miss is when calculating returns on remodels is a failure to account for the time and inconvenience of having a bathroom or kitchen ripped up. All that for a whopping best case 2% return and returns goes down from there. In fact, the average return on improvements made to sell your home is only 64% according to the National Association of Realtors. A buyer agent would know this fact for their buyers in order to get the best value. In a sense, the seller makes improvements and the buyers reap the benefits of the improvements for on average 64% of what it would cost. At 8207 Nice Way, the seller purchased the home one year prior for $380,000 with every intention of staying but sometimes life happens for the good and plans change. The home truly went through a first class renovation and update. Complete interior painting, new appliances, high end tile and flooring, and even a brand new clear view screened lanai. The list was rather extensive and approached the $80,000 range. Even down to the automatic blinds, it was all done top notch and to the level only an owner would have done. The buyers had made an exhaustive search in Turtle Rock and similar homes in the Palmer Ranch area of Sarasota. Most homes were in need of something so finding a home that was done to this level and to the buyers’ tastes represented a true value. There was really no way to find a lakefront home and make the improvements that were found here for less. 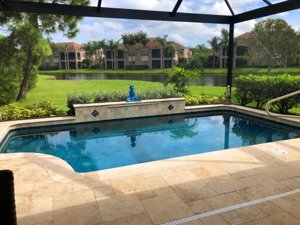 Of course, that didn't mean there isn’t some room for negotiations and now the new owners have their perfect Sarasota Florida dream home that they can enjoy! There are no guarantees of what will happen in the future. It is nice to know that you have a choice when choosing to be represented or not. If you want true representation, there is a clear choice. 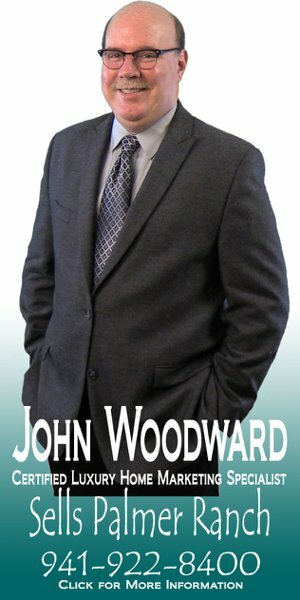 John Woodward and his team are ready to help.